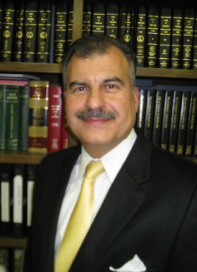 Richmond, Virginia Family Law Attorney | George J. Kokorelis, P.C. - George J. Kokorelis, P.C. While adopting a child brings happiness to families, adoption can also result in substantial heartache when something goes wrong. I assist families with the complex legal paperwork and procedures of adoption so you can feel confident that the process is handled accurately and your child’s wellbeing is secure. Both parents share in the responsibility of raising a child. I do everything possible to help your child receive the financial support they need for a healthy, happy upbringing. Child support payments remain the same unless and until the court modifies the child support order. If either the custodial or non-custodial parent experiences a significant change in circumstances, I can guide you through the proper legal procedures to modify child support payments accordingly. I stand by you throughout your divorce. I work to obtain the best possible results in court or at the negotiation table, and have extensive experience handling issues such as the fair distribution of assets, the division of a marital home, child support payments and child custody rights. When the authorities interfere with your parent/child relationship, you need a compassionate advocate who understands the bureaucratic red tape. I am skilled at maneuvering through the complex laws of Virginia to protect your parental rights and your child’s future. Mediation puts the decisions in your hands and often provides more expedient, predictable results than court trials produce. As a skilled negotiator, I can help you obtain a favorable divorce settlement. To schedule a free initial consultation with George J. Kokorelis, P.C., contact me online or call 804-358-8100. I am your ideal source for compassionate assistance as you transition from one phase of your life to the next.